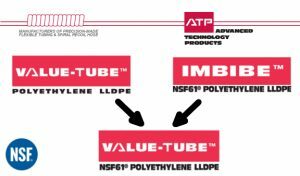 Last year, ATP made an announcement that we were in the process of phasing out Imbibe™ and adding NSF-61® Certification to Value-Tube™ LLDPE Tubing. 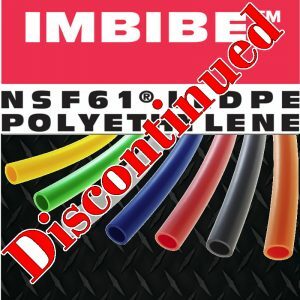 That time has finally come, Imbibe™ will no longer be sold by name or DWPE part numbers. Additionally, Value-Tube™ polyethylene tubing was awarded NSF-61® certification for use in potable water applications. Value-Tube™ is now being extruded with UV stabilizer additives, making it a perfect fit for applications that expose the tubing to sunlight or indoor UV light. Value-Tube™ Linear Low-Density Polyethylene Tubing is extruded from 100% non-toxic, FDA compliant ingredients.